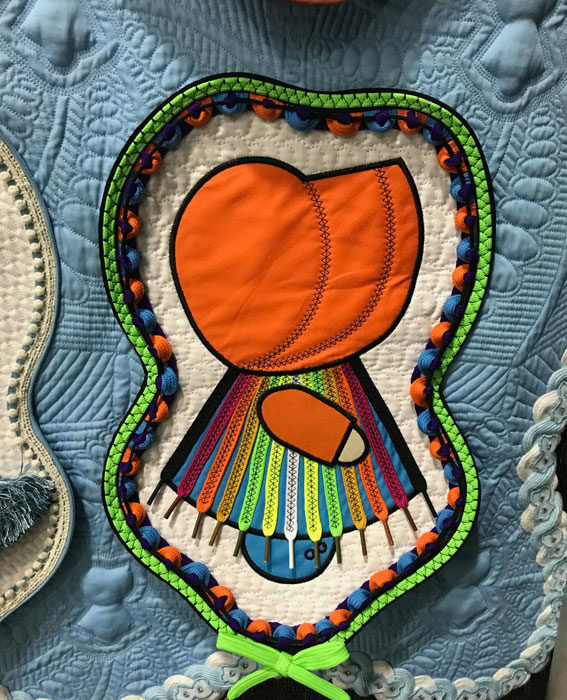 Without a doubt, the most creative quilt at the Northwest Quilting Expo was made by Flora Joy of Johnson City, Tennessee. 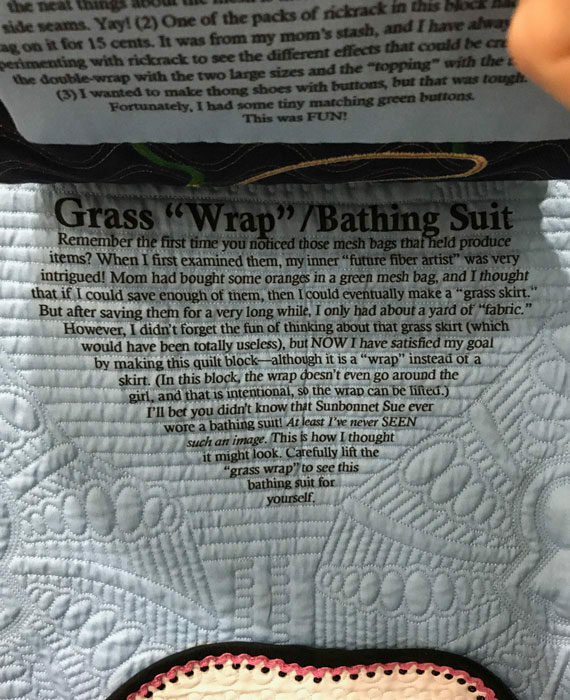 She wrote, “Twelve separate, freestanding curvy blocks have been sewn at their top borders to a separate base quilt. 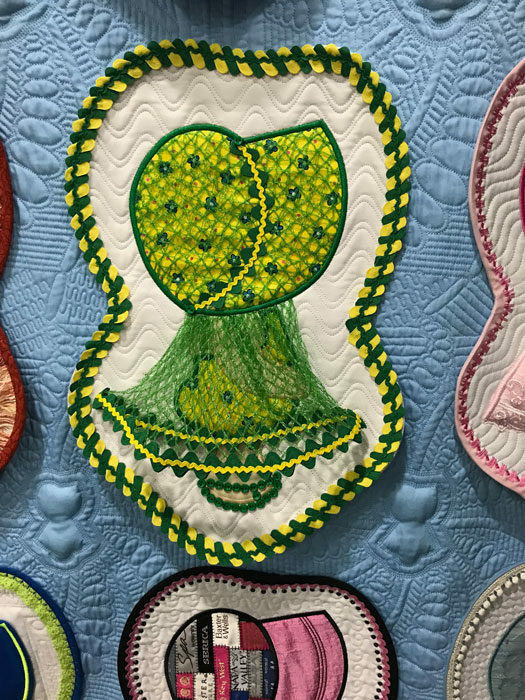 Viewers can lift each Dutch doll/Sunbonnet Sue to read the block’s unusual but true story and glean numerous tips for making their own similar blocks. 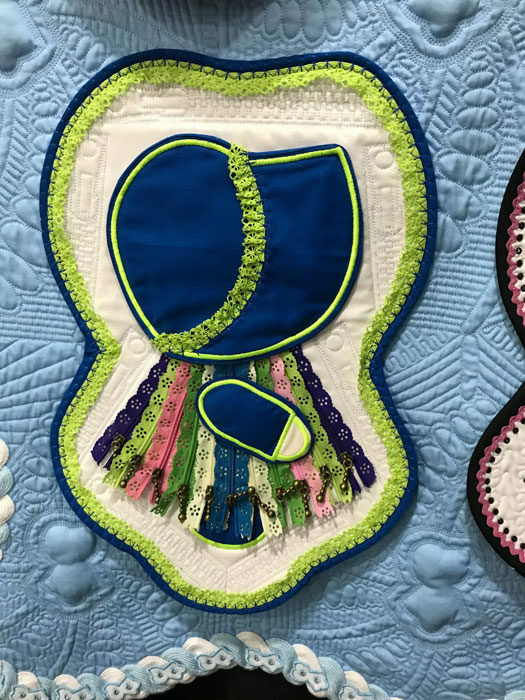 These pieces collectively reflect the quilter’s metaphorical “fabric autobiography”. 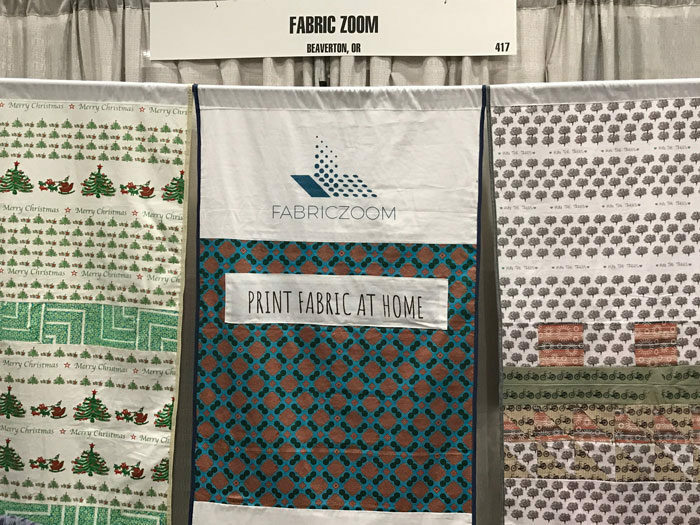 FabricZoom, located in Beaverton, OR was at the show offering a new service I was not familiar with. They sell fabric printers in three sizes: 57″, 39″, and 27″ in width. The printer is flexible able to print a variety of fabrics from sheer silk chiffon to super thick burlap. Something to further check out. 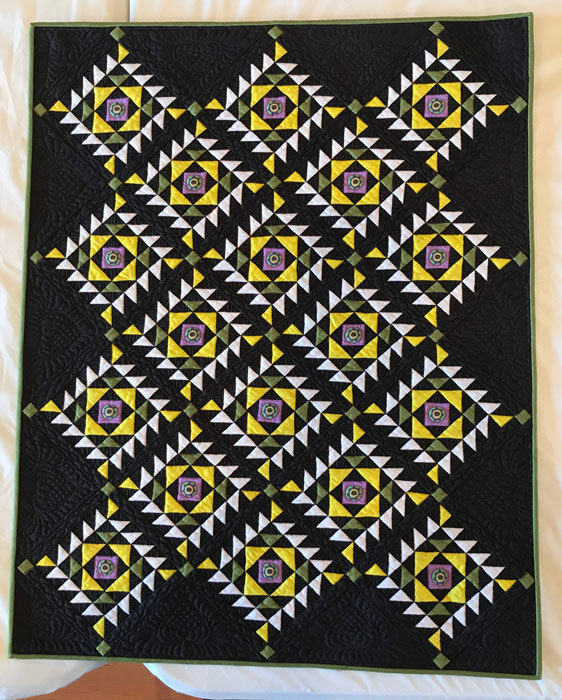 I’m unable to show photos of the winning quilts from the Boise Basin Quilters Show as it wasn’t hung before I left. 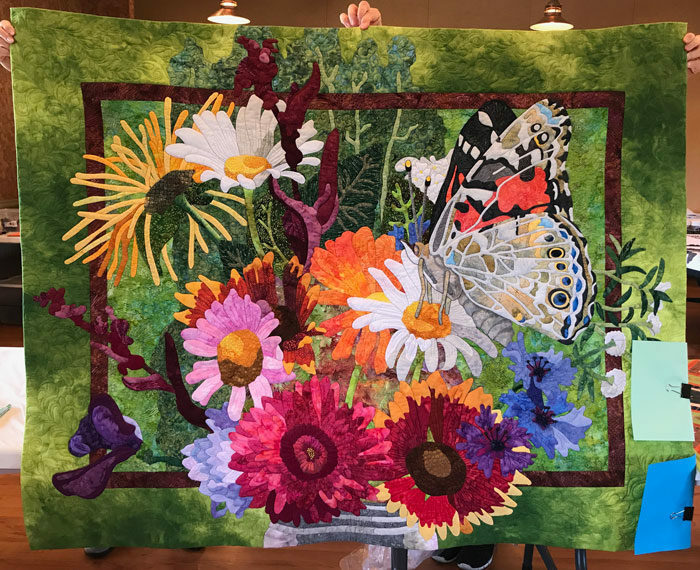 But I can post photos of the two quilts chosen by me and my fellow judge, Andi Perejda, for a special award called the Award of Merit. 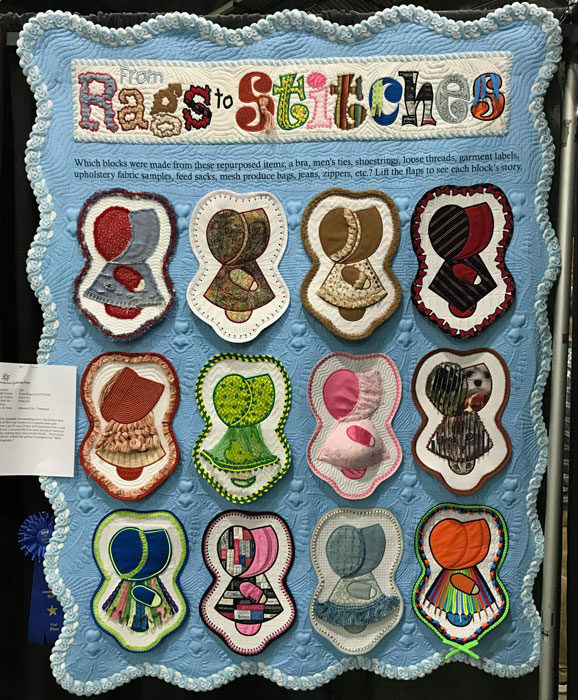 We are both certified through the National Association of Certified Quilt Judges and can at our discretion select a quilt at each show for this honor. You can read more about the award here. My award went to “Mason Jar Bouquet” by Deana Steel of Twin Falls, ID. I cannot say enough good things about this stunning original design.